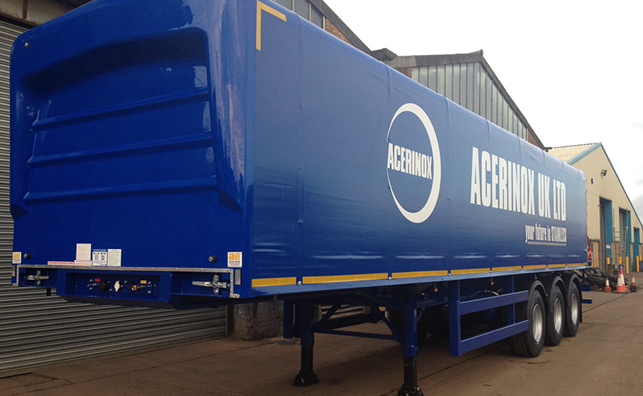 Our specialist steel carrying trailers and highly skilled/trained drivers ensure on time and safe delivery of customers products on a next day delivery basis. We also have specialist trailers for delivering high value engineered products in excess of 13m long and we can also provide bespoke transport solutions on a contract service platform based at customers premises. We also offer within our contract service package vehicles and trailers identified in customers corporate livery. 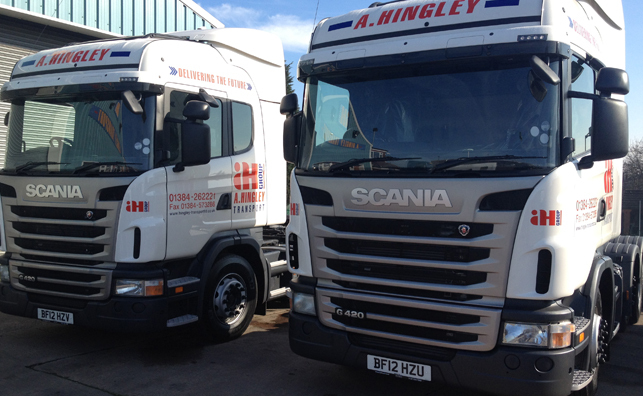 A. Hingley Recovery Services offer specialist transport services for the recovery of both small and large HGV vehicles, in addition to other large items of plant and equipment. Our low loader trailers are equipped with electric winches and other equipment to enable the practical and safe removal of equipment from either the roadside or customers premises. Our specialist trailers can also be used for the general movement of plant which otherwise could not travel on a conventional trailer. Our trailer division manufactures, repairs and re-furbish all types of trailers and associated equipment. The trailer manufacturing operation has built a reputation for products that are made to last and fit all types of application. We can take customers existing equipment and carry out minor or major refurbishments including shotblasting and painting in our onsite facilty. In addition we can carry out repairs, inspection or just supply the parts required. A Hingley training services can provide all aspects of LGV and HGV driver training which incorporates Class C and C&E licence training carried out by our experienced and qualified instructors. We can deliver training at customers premises or at our depot. The training is carried out in dedicated training vehicles. 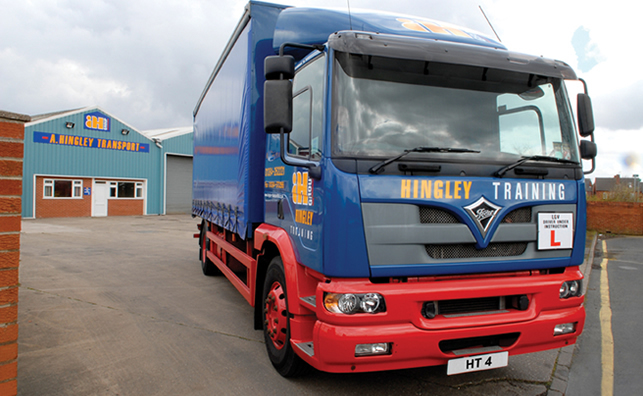 Hingley Transport part of the AH Group are the largest steel carrying hauliers in the West Midlands. We have a dedicated fleet of some 80 x 44 tonne tractor units and over 140 tri-axle trailers that deliver daily across the UK. We can cater for all of your haulage requirements from sameday and next day deliveries, trailer recovery, to LGV and HGV driver training. Finally, our trailer division manufacture, repair and refurbish all types of trailers and associated equipment. Specialised heavy recovery operation and equipment to move any item of plant safely and efficiently carried out throughout the UK. Dedicated trailer manufacturing operation carrying out customer new builds, refurbishments and repairs, along with an extensive trailer parts stock. Professional HGV driver training operation carried out by qualified and experienced instructors delivering all HGV & LGV driver qualifications. T-Range Arrives at Hingley's. Hingley take on fleet their first Euro 6 vehicle - with more to come later in the year.